R&G Racing Spool Sliders aid in reducing damage to the swingarm, chain/drive, brake caliper and brake disc in the event of a crash by keeping these core components off the tarmac and out of harm's way! They also double as a lift point for most rear stands. Each kit is tailored to each bike's specific axle length and/or diameter. The sliders are machined from the same High Density Polyethylene (HDPE) used in R&G's frame sliders. As the HDPE slider wears down in a slide/crash, its high friction qualities help reduce the bike's speed. Woodcraft doesn't make one of these. These were recommended on the MT-07/FZ-07 forum. I needed sliders and also needed something to lift the rear by. I need to lift the rear with spools, but also want sliders. Additionally, I do not feel comfortable drilling the swing arm to install spools. my frame sliders are R&G and i wanted these to "match"
Doubles as a nifty lifting point for my rear stand. Sweet! Looks great and provides protection as well as the spoools for my rear stand. Was a VERY easy install! I need some rear spools to use for a paddock stand, so I can clean my rims and chain as well as perform oil changes and view the sight class on a balanced bike. How do you install this? Does this come with an installation rod? BEST ANSWER: The kit comes with the rod and all hardware for installation, along with instructions. It's super simple and all you need is a couple 10mm sockets. can you replace the pucks (just buy individual pucks) or do you have to purchase the whole assembly again? When installed and lift with a support, can I spin the wheel to lube the chain ? How do you take off the rear wheel? You can spin the wheel to lube the chain, however, to remove rear wheel, you would have to remove due to the rod going through rear axle. I would recommend pitbull rear stand that uses the swing arm lift. Or any stand that does. 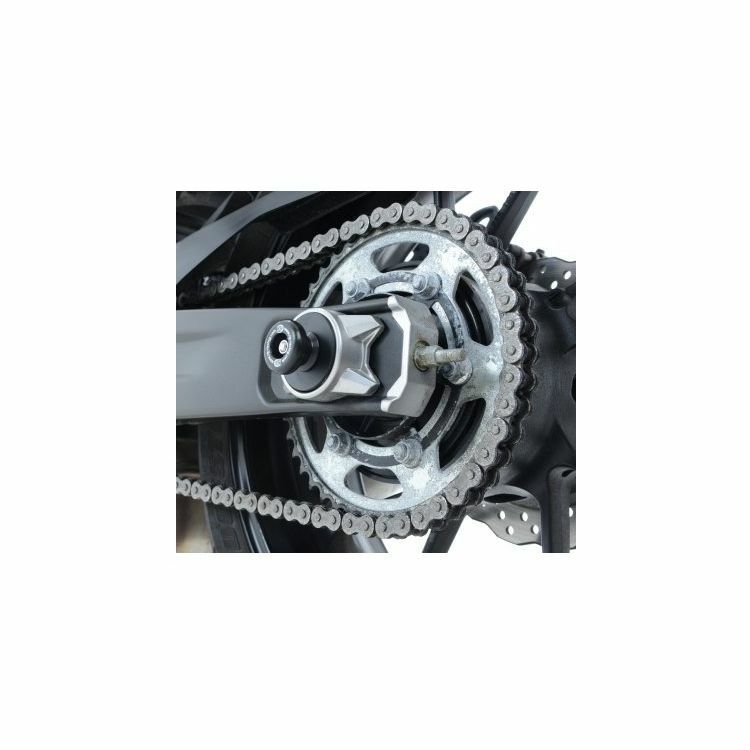 Yamaha also sells attachment spools that also allows you to tighten your chain. Yes, you can spin the wheel to lube the chain. No, you cannot take the wheel off with the spools installed.